The best movies on Sundance Now are typically those you could’ve found streaming before on platforms like Netflix or Hulu, outcasts and peripheral classics that Sundance has mixed with undeniable modern masterpieces like Taxi Driver and Hoop Dreams. 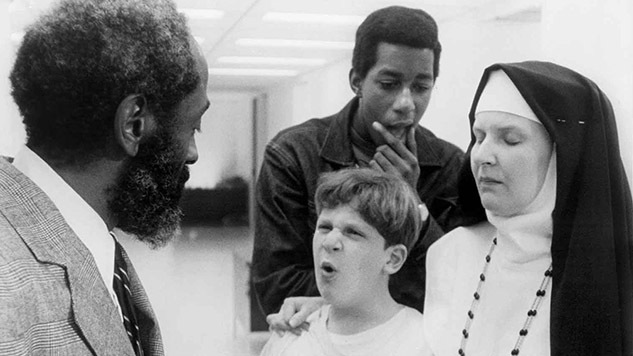 No other streaming service will have Kelly Reichardt’s debut, River of Grass, smattered amongst a weird Nick Broomfield joint like Biggie & Tupac or Robert Downey Sr.’s (father to that Jr.) midnight staple, Putney Swope. Like Fandor or MUBI, Sundance Now is worth the subscription fee for it’s curatorial gems, not for the glut of its library. Still, it’s arguable that no other service has so many essential documentaries, many of which you can find on our list of the best documentaries of all time, like the aforementioned Steve James opus, but also Dear Zachary, Agnes Varda’s The Gleaners & I, Robert Greene’s Actress and the incomparable Shoah—all ten hours of it. Genuinely excited by what Sundance has to offer, we’re here to provide you with our prime pickings. And as always, you can check out all of our best movie streaming guides to find the best of what’s available on whatever streaming device you use. 36. We Are the Best!